Purple Kush Marijuana Seeds To The USA. 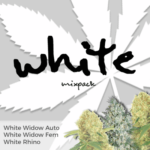 View The Purple Kush and OG Kush Seeds Collection Here. Purple Kush grows as a short, squat Marijuana Plant covered with very dense, close internodes or branches, as well as large Indica fan leaves. Indoors Purple Kush can grow to 2-3 foot in height, often more given the right conditions. By using super-cropping techniques, Purple Kush will grow to become at least as wide as she is tall. The Purple Kush exhibits the classic indica growth pattern, becoming a sturdy bush with large, dark green leaves. As maturity approaches, the overall color will display hints of purple. Discover The Very Best Purple Kush Strains. 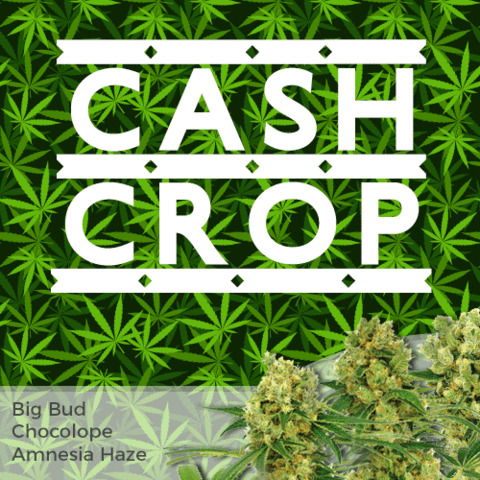 As an all round Medical Marijuana Plant, Purple Kush is one of the most versatile, producing a high quality crop with relatively high yields, proving that the Purple Kush is a well known favorite for both indoor and outdoor Marijuana growers. With it’s short, squat shape, Purple Kush is an ideal candidate for a screen of green (SCROG) setup. As this particular Marijuana plant reaches maturity, Purple Kush buds form tight, chunky nugget-like Buds containing hints of purple in the tips of the calyxes. Once dried and correctly cured, Purple Kush emits a soft pine bouquet, combined with a sweet, grape-like taste forming a solid foundation. Purple Kush – A Firm Favorite. Purple Wreck, DNA Genetics Unique Strain of Purple Kush. Upon maturity, Purple Kush produces an almosty frosty veneer, coating the enire plant in high quality resin, pleasing both the connoisseur and beginner alike. The Purple Kush produces a strong and powerful high, together with a deep stone body effect, the perfect Medical Marijuana for treating chronic pains and inflamations, as well as numerous other conditions. Purple Kush is considered a very psychoactive drug, producing a long-lasting high. 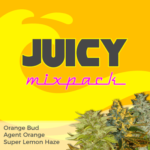 Primarily created as an indica, it does contain hints of it’s deep sativa parentage, and is most commonly known for producing its distinctive purple colored buds. Growing between two – three feet in height and two feet around, this Marijuana plant is perfect outdoor where it can be discreetly placed and grown. 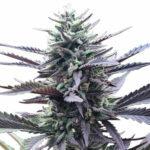 Grown outdoor, a single Purple Kush Marijuana Seed is capable of yields between 10 and 18 ounces, if grown properly and allowed to fully mature. Once harvested, it produces a smoke that is strong, with an unmistakably flowery taste and exceptionaly high THC levels. Grown outdoors, Purple Kush Marijuana plants must be started after the last frost, this is usually towards the end of May, or beginning of June. One Of The Best Strains Of Purple Kush Marijuana Seeds. Harvest is expected to commence by mid to late September. Once smoked, the high, or stone, usually lasts about an hour, sometimes a little longer depending on the drying and curing process. There are many types of Kush. Purple Kush is one of the most potent strains of Marijuana, however, you may like to try some of our recommended OG Kush Seeds. 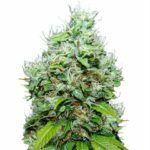 Purple Kush Seeds has become a firm favorite around the world, especially in British Colombia, where it is renonwed for producing stable Marijuana plants, heavy with resin and an acrid hash-like taste. The Reeferman team found the Purple Kush to be somewhat lacking in vigour, producing smaller yields than expected. 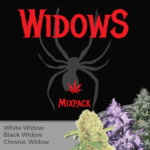 They have created what they believe to be the ultimate Purple Kush, combining their Early Island Indica male to pollinate the well known Purple Kush. Click Here for more information on Purple Kush and OG Kush Medical Marijuana Seeds.